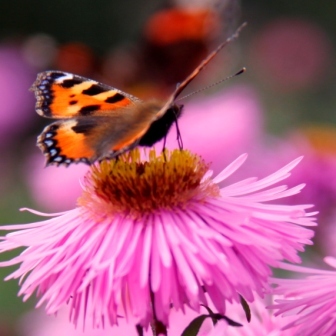 Where have all our Wild Flowers gone? Butterflies have been on my mind recently. This week I’ve been investigating the food and habitat they need. It seems that butterflies aren’t the only insects needing our help. 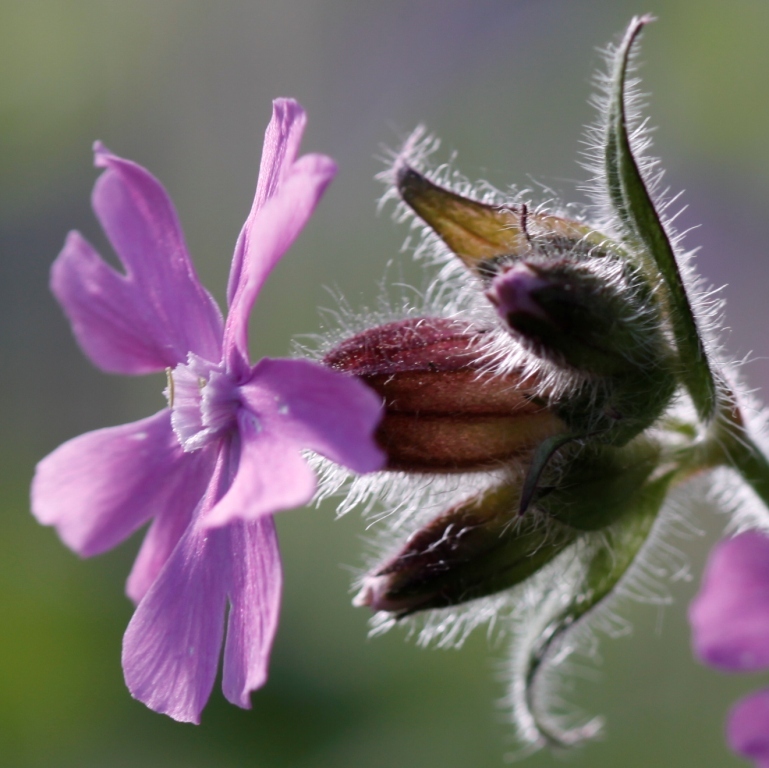 Continue reading Where have all our Wild Flowers gone? A visit to the national Wildflower Centre at Liverpool has more to offer than wildflowers. 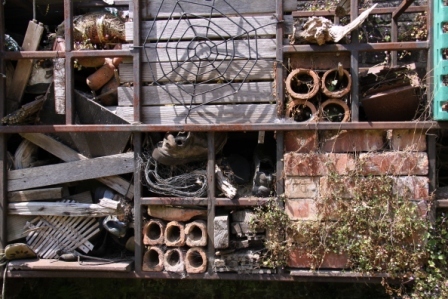 A wall of insect homes has been created from old building materials, timber and cardboard. It’s been there a while and has been colonised by plants too. Some of the plants are grown for the insects, or more accurately for their larvae. For example wild hops are food for the caterpillars of the Peacock butterfly.